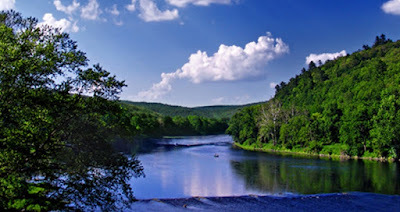 On March 22, the Coalition for the Delaware River Watershed announced the U.S. Fish and Wildlife Service and the National Fish and Wildlife Foundation jointly awarded the first round of 25 Delaware Watershed Conservation Fund grants totaling $4,140,000 in federal funds. This is the first time that dedicated federal funding has been allocated to on-the-ground projects that conserve and restore the Delaware River Basin. Applications are now being accepted for the 2019 round of Delaware Watershed Conservation Fund Grants. Click here for more. Click Here for a list of all grants awarded. Delaware Watershed Conservation Fund grants were awarded to organizations to address key issues facing the watershed, such as conserving and restoring fish and wildlife habitat, improving and maintaining water quality, sustaining and enhancing water management and reducing flood damage, and improving recreational opportunities and public access. A large pool of worthy projects was submitted for consideration, signifying the need for continued robust federal funding for the Delaware River Basin Restoration Program. For more information on programs, initiatives and upcoming events, visit the Coalition for the Delaware River Watershed website.